Day-by-Day is the Myositis Way! 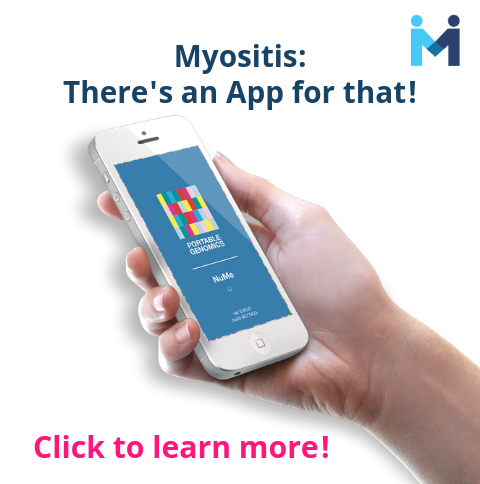 Having a positive attitude when dealing with Myositis is essential. During those dark moments when life seems to be falling apart, it is important to remember that you control your own emotions. No matter where you are in your journey with Myositis, or other chronic illness, remember you still have control over how you cope with your emotions and physical symptoms. Here are a few tools to help you stay positive. Feeling sorry: In order to stay optimistic, you must be able to acknowledge your personal frustration and fear. Sometimes giving a name to the emotions we are feeling helps us move forward. Allowing ourselves to have a “pity party” is not a bad idea as long as we keep it short. Allot five to ten minutes each day to scream, cry, and feel sorry for yourself, then move forward by taking proactive steps. Journaling for gratitude: Even in the midst of misery and heartache, good things happen. Keep a journal that focuses on the brighter moments of the day. Start by writing three positive things for every negative comment. It can be as simple as a stranger smiling at you, watching your favorite TV show, or having a scoop of your favorite ice cream—all that matters is that it sparked a happy emotion. Laughter: We have all heard that laughter is the best medicine. Well, there are many studies that prove laughter is beneficial. So, watch a funny movie, play a silly game, join the monthly MSU Laughter Yoga video chat, and always look for ways to laugh. The pain and weakness may not subside, but your attitude will shift towards the positive. Music: The power of music is an amazing thing. Listening to a song can invoke emotions, good memories, and can also be a great distraction. Listen to songs that brighten your mood. Make a playlist of the songs that inspire and bring you hope. 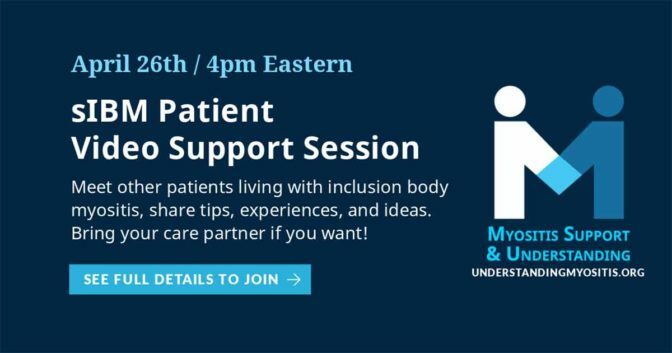 Supportive People/Community: Surround yourself with friends and family who support you, or those who are willing to learn more about what life with Myositis is like. These people will help you stay accountable so that you feel motivated to keep pushing forward. Manageable chunks of time: We have all heard the saying “one day at a time.” This is a very important saying to live by as we can never know what tomorrow will bring, especially with a disease as unpredictable as Myositis. There is no sense in worrying about tomorrow when you can learn to live for today. If you find one day at a time is too much, break it down into smaller chunks such as one hour at a time. Help someone else: There is so much joy in helping others, no matter how small the deed. When we help others, it not only makes us feel good, but it also puts kindness into the universe which will multiply through your initial “good deed.” An example could simply be paying for the person’s coffee in line behind you. It is a small thing, but the very act of doing so brings joy to both parties. 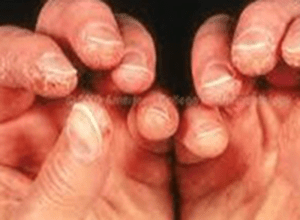 Find Your “New Normal”: The implications of Myositis and its often toxic treatments can be devastating. The lives we once lived sometimes seem impossible to live now. This is why it is imperative that we find “new normals.” The activities you once enjoyed might not be possible to do anymore, but that doesn’t mean life is over. Instead, find new pastimes or ways to live a life of meaning and purpose. 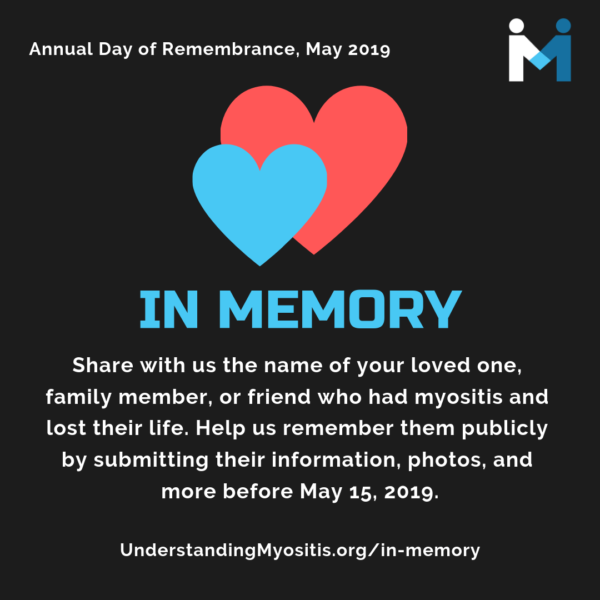 Myositis does not need to define us or be the end of our existence. Look for ways to take back control of your life. What does your “new normal” look like, and what can you do now that will make you happy? Becoming empowered, supported, and involved is key to taking back control and living a proactive, fulfilling life once again. 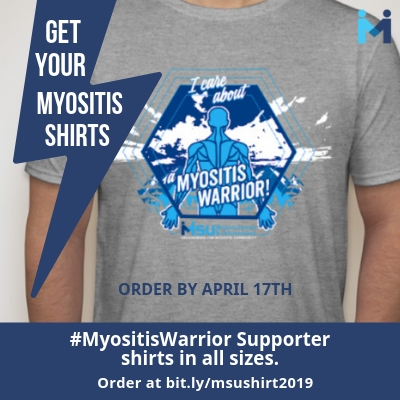 Find an organization like Myositis Support and Understanding (MSU) that will validate your experiences while encouraging you to become an active participant in your positive journey with Myositis. Ways to become involved include connecting with others in your community, finding activities that make you happy, working on advocacy efforts, sharing information, and making your voice heard. By being involved, you become empowered and begin to see your own strength, courage, and worth. Having a purpose once again will help you continue to move forward. It can be challenging to stay positive or find meaning when dealing with Myositis. Finding an activity that brings you some satisfaction is therapeutic; it can help ease depression, lessen symptoms and lead to a happier you. MSU encourages you to try new things. Here are just a few suggestions of ways you can stay busy (distracted) and possibly find newfound peace, clarity and purpose. Here are just a few free sites online that will keep you, and your mind, busy. Have a smartphone/tablet? Find a ton of free gaming apps in your App Store or Google Play. Host a book club, either in person or online. Adult coloring books are fun and a great distraction. Try some of the therapeutic ideas listed under the motivational resources tab. 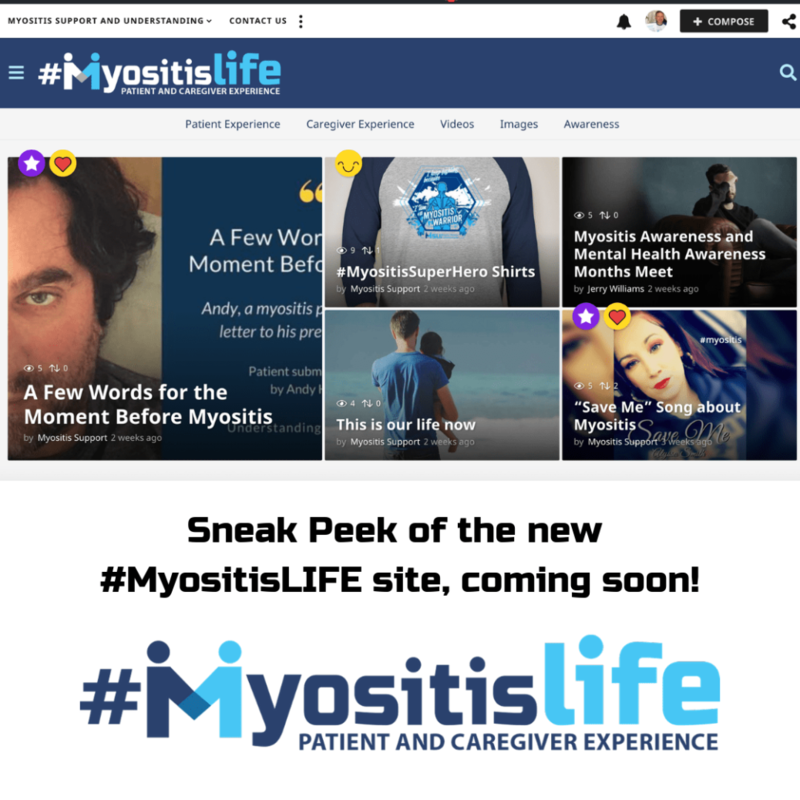 Write your Myositis story and share it with us. Try Gardening: Whether in the dirt outside or in a container indoors, connect with nature. Here are some tips. Study a specific topic like history, math, or English. Something to challenge you, but make it something that truly interests you. Play around on Pinterest to find new, fun, and rewarding projects to try. Volunteer with MSU or another nonprofit organization. 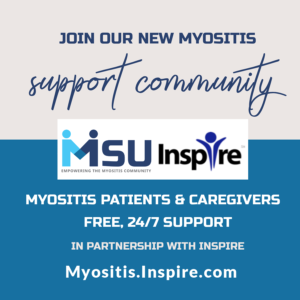 TIP: Shop for your supplies using Smile.Amazon.com and choose Myositis Support and Understanding as your charity to help earn money for MSU while shopping for your needs. Aside from a standard written journal, which we highly recommend, there are many other ways you can “journal” and projects that you can do to help yourself. Altered Books are books that have been given a new life in the form of art. Whether they are old dilapidated books or new ones, their covers and pages can be altered in many ways. You can visit a local thrift store and purchase an old book for really cheap! You can paint, cut, fold, burn, sew, collage, tear, drill, glue, or adorn them in any way your imagination sees fit. There are many websites available that you can use to learn the process and to see examples. Anything goes with these books. Make it fun by creating a theme! Art therapy is a creative method of expression used as a therapeutic technique. An art therapist works with a client—using many kinds of materials—to initiate a creative process that elicits feelings and realizations. The therapist helps the client process those feelings, draw conclusions, develop appropriate actions and more. Photo journaling is simple. Just take a photo, or use old ones, and in a separate book or even photo album, place the image and then write a short blurb to go with it. This is just as theraputic as writing in a standard journal. Spiritual and inspiring crafts can invoke a peaceful more in-tuned relationship with the Universe. This can also be referred to as a “God Box” if that is the term you prefer. Sit down with pen and paper in a quiet, relaxing place and make a list of everything you want in your life, big and small. These items might include money, a cruise, a house, a new coat, a loving relationship, or the motivation to stick to an exercise regimen. Cover your shoe box in craft paper or construction paper in the color of your choice. Use your glue stick or tape to secure the edges. Use your scissors to carefully cut a 2- to 3-inch slit in the middle of the shoebox lid, wide enough for you to put folded slips of paper through it. Go through your stack of magazine clippings and cut out the images and words. Use your glue stick to cover the shoebox with these images and words in whatever design that pleases you. Don’t cover up the slit in the top. Arrange your clippings around it. Close your box and grab your list of wants you made in Step One. Fold the list and slip into the top of the box. This is your first Spirit/Journal Box request of the universe. Keep your Spirit/Journal Box in a personal place where you can see it every day. Every time you want something, write it down on a small slip of paper, fold it up, and put it in your Spirit/Journal Box. Then forget about it, confident that the universe will listen and respond. The universe operates according to the Law of Attraction, meaning whatever you think about is what you are going to get. Keep that in mind when making requests of the universe. For example, instead of writing “I want to get out of debt,” write “I want to be financially free.” If you’re always concentrating on your debt, that’s what you’re going to attract. If you have more magazine clippings than you have room for on your box, hang them on a bulletin board, make a collage, or use them to decorate the inside of your box. There’s a slit in your box for a reason. You could lift the lid to put your requests or prayers inside, but then you’d see the other pieces of paper. The idea with a God Box is to ask the universe for what you want, then forget about it. There’s no need to be reminded of old requests every time you have a new one. Only when your Spirit/Journal Box is full should you open it and look through the requests you’ve made of the universe. Hopefully, you’ll be surprised at just how many of your wishes came true. Once your Spirit/Journal Box is full, it’s time to make a new one. You can start from scratch or you can redesign the one you already have, repeating Steps One through Seven above. It just depends on how much space you have in your home to store all your Spirit/Journal Boxes through the years. When you come across slips of paper with requests that have yet to come true, you may want to add them to your new Spirit/Journal Box, provided it’s something you still want. What is a Vision Board and its purpose? Creating a vision board can be that visual reminder to help you hold onto hope, find comfort and stay proactive. Flip through magazines tearing out pictures, symbols and words that represent you – who you are, what you want to become and how you choose to live your life, or how you want to change your life. Place the images on some type of board or paper in various patterns using rubber cement, glue or double-stick tape. Now whenever feeling lost or alone, all you have to do is look at your vision board: there you will find inspiration, empowerment and guidance. Learn more about organizing and creating a Vision board. A vision board is a tool used to help clarify, concentrate, and maintain focus on a specific life goal. Literally, a vision board is any sort of board on which you display images that represent whatever you want to be, do, or have in your life. Somehow, we must silence the mind-chatter that plagues us all every minute of every waking hour. You know that little voice in your head that never shuts up? The one that supports and promotes all your limiting beliefs by repeating an endless litany of every shortcoming you could possibly have (and some you couldn’t possibly have), and every reason why you can’t, or shouldn’t, or won’t ever be, do, or have what you really want. Affirmations are that little voice’s worst enemy. Another key purpose that vision boards serve is to help you stay focused. It isn’t difficult to start each day with a positive attitude – until you get out of bed. Think about what you want in life. For most of us, it will involves better health for sure, but also many other things. Based upon the discoveries you’ve made, it’s now time for you to decide what you want the focus of your vision board to be. Don’t feel as though you must limit yourself to creating just one vision board to reflect all of your dreams. You can make as many separate vision boards as you want, each with a different focus. You can decide to make a vision board which focuses on a very specific goal that you have. For example, if want to be able to afford your dream vacation within the next year, you can design a Jamaica-themed dream board. You can also make dream boards which have a more general theme. Perhaps after reflecting about the type of person you want to be remembered as, you determined that you want to work on becoming a kinder, more generous person. Your dream board can be devoted to this theme. An example of something to include can be pictures of inspiring role models. There are many different ways you can learn to inspire yourself. In this section, we have provided a list of some inspirational quotes and articles. Do you have a quote, article, or your own story you wish to share? 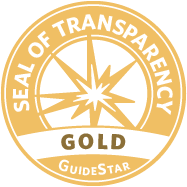 We would love to read it and share it on our website! Share it here. “There are many what-if’s in our lives with Myositis and chronic illness and they pile up making our fear seemingly too much to handle. At times, it is just the idea that something “may” not work out. You don’t have to be alone in your struggle with Myositis, pain, and overlap syndromes. MSU started with support and support continues to be one of the most effective programs we operate to date. We have several support options available. Learn more below. 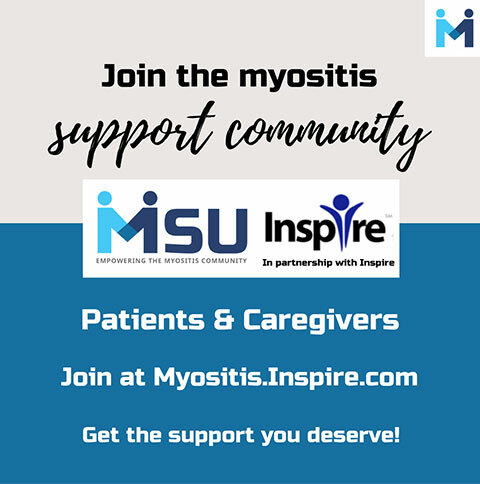 The MSU closed Facebook group for patients, Myositis Support and Understanding, is available to anyone diagnosed with a form of Myositis and their direct caregiver. We often refer to this group as our “home” group. This group has continued to grow almost daily. 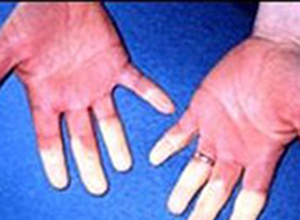 We discuss many topics related to Myositis and other autoimmune diseases that often overlap with Myositis. We take a hands on approach to our Facebook support groups by encouraging our members to share their stories, provide helpful tips and educational resources, as well as adding humor. We believe, and it has been proven, that laughter is great medicine. We welcome all Myositis patients, and their direct caregiver, to request to join our patient’s group using the button below. We created the Family and Friends Facebook Support group realizing that Myositis patients are not the only ones who need support. 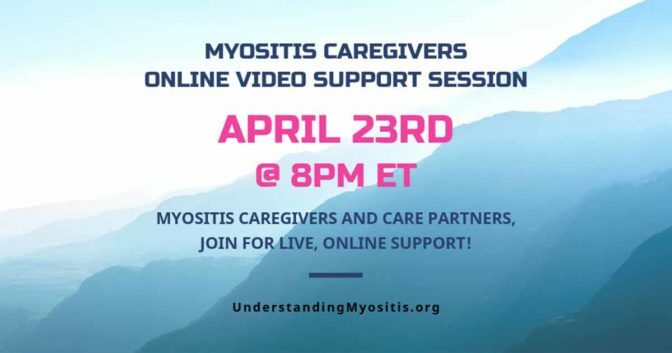 Those who care for Myositis patients also need a safe place where they can discuss how they cope with the challenges of caregiving. The Family and Friends group keeps the same “family” dynamic and is a closed group so only group members can see what is posted. We have a few patient advocate’s in the group to help the members with questions they have from a patient’s perspective and this has seemed to help keep the group active and growing. 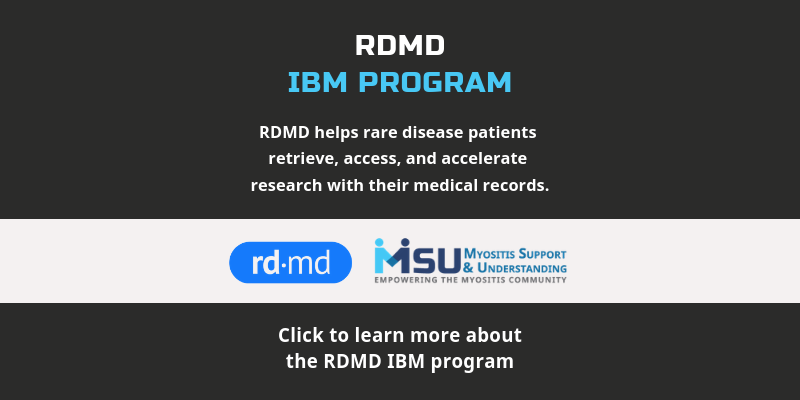 The Inclusion Body Myositis closed Facebook group we created is the first closed Facebook group specifically for IBM patients. 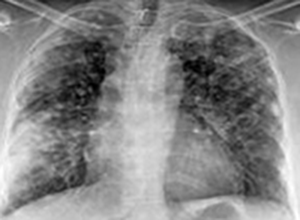 This group was formed out of a specialized need for IBM patient’s. While IBM patient’s are also welcome in the “home” group, IBM patient’s do not respond to or have any treatments available like those for Polymyositis and Dermatomyositis. And, treatments, such as prednisone, are one of the most talked about topics in the “home” group. Now IBM patient’s have a closed group where they discuss topics that are IBM specific. IBM patient’s, and their caregiver, can request to join this group by using the button below. We also encourage IBM patient’s to join the “home” group as well. There are benefits in joining both groups. The MSU Myositis Network is our very own built-in website social network. To be a part of our network you must register as a member of MSU. 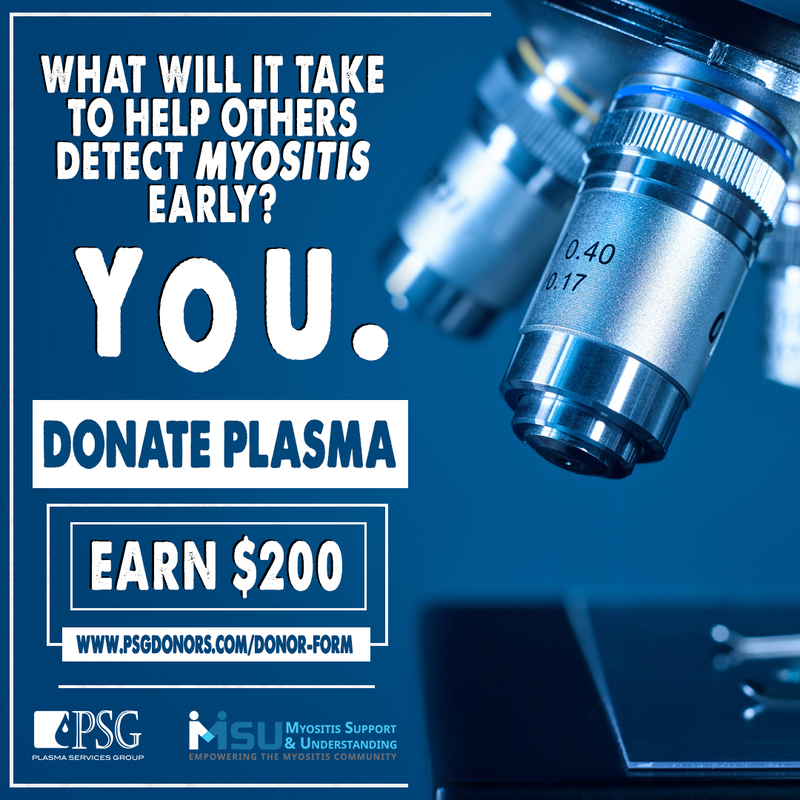 Once you register and click on the activation email, your MSU Myositis Network profile is automatically created. To learn more about using the Network, visit our network help page here. Our newest form of support, online Video Chats, enables our members to make richer connections, friendships, and provides the ability to actually meet another person living with the same disease. We hold monthly disease-specific video chats, as well as other topic-related chats. You can find all upcoming Video Chat sessions by viewing our Events page or Calendar. Register for all that interest you by visiting our Video Chat registration page. We all need an escape from the day-to-day stresses of life, especially life with chronic illness that often includes financial stress as well as other life stressors. If you are in crisis or considering harming yourself, MSU asks you to take one of the following steps immediately. Explain how you’re feeling. Remember part of being strong is acknowledging when to ask for help. For more, check out our Mental Health Resources page. The Department of Veterans Affairs (VA) operates a national suicide prevention hotline and a live online chat option to ensure veterans with emotional crises have round-the-clock access to trained professionals. 800-273-8255. Press “1” to reach the VA hotline. If you are feeling sad or overwhelmed, it might help to talk to someone. 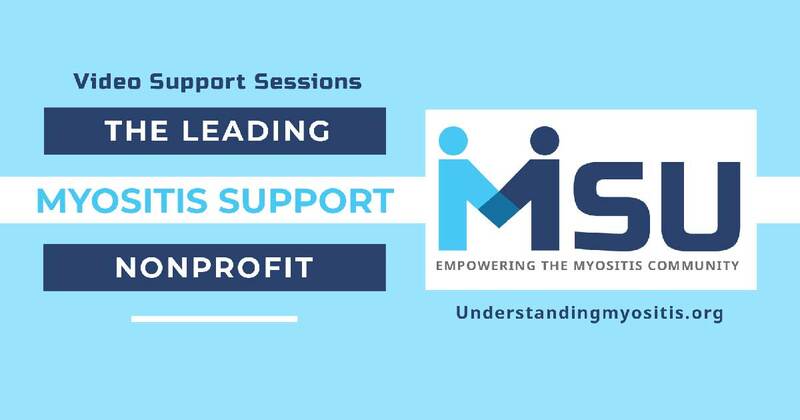 A family member, friend, therapist, spiritual sponsor or fellow Myositis friend are all here to listen. Remember that you are not alone. If you are suicidal, please contact your emergency services number (in the U.S. it’s 911) or visit your local emergency room. At the very least, call a friend and let them take you. If you are not in an immediate crisis, please contact one of the organizations below. These groups are dedicated to helping people get through crises.